So I don’t know about any of you out there, but today starts finals week. And this is the song that’s getting me through this week. 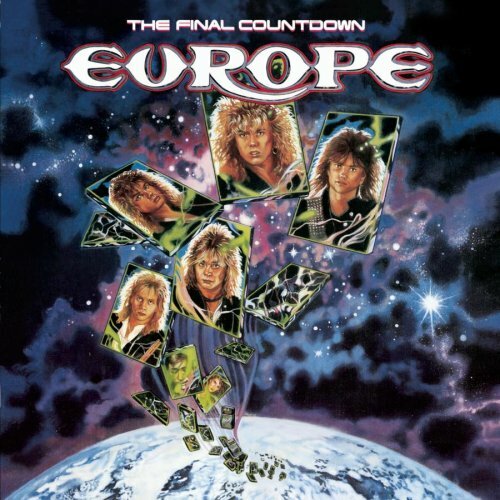 Just like back when Nothin’ But a Good Time was all that was getting me through, The Final Countdown is my life support. First of all, how can you not love this song? The opening piece just gets you pumped up and ready to go. The song is supposed to be a remake of Space Oddity by David Bowie. The song was based on a keyboard riff that Joey Tempest had written. Originally the band had never planned to release the song as a single, but its great they did because its awesome! It is one of their most famous songs having gained 10 on Billboard Hot 100. The song was named the 66th best hard rock song of all time by VH1. 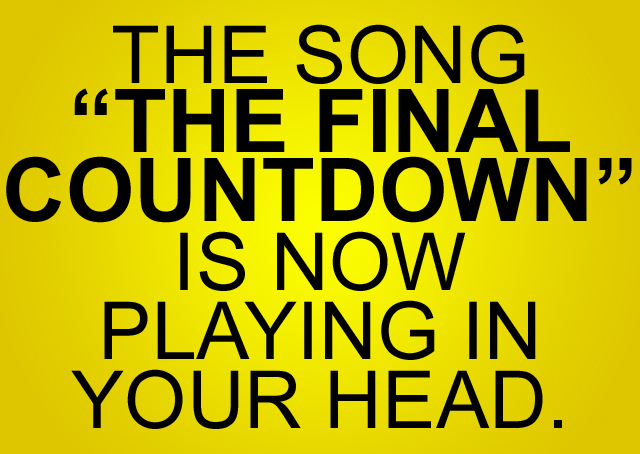 And #16 on the list of the “Most Awesomely Bad Songs…Ever”. To earth, who can tell ? It’s a fabulous song and I hope it inspires all of you out there as well. This entry was posted in Musical Stylings of Me and tagged '80s Hair, '80s Music, '80s Music Video, All About the '80s, Billboard Hot 100, David Bowie, Europe, Finals, Graduation, Hard Rock, Joey Tempest, Keyboard Riff, Life Support, Nothing But a Good Time, Poison, Remake, Single, Space Oddity, The Final Countdown, VH1.